I tapped my running watch as I quickly crossed the half-way marker of the 2010 Chicago Marathon, happily noticing my half-marathon split of 1:35:14. This was right where I'd hoped it would be, and I was impressed that had the race just ended I would have easily set a new half-marathon personal record. However, my confidence was fading with the sweat pouring down my back and I was beginning to question my judgement in joining the team. The day had started well. After my wonderful wife dropped me off at Grant Park I had ample time to prepare. 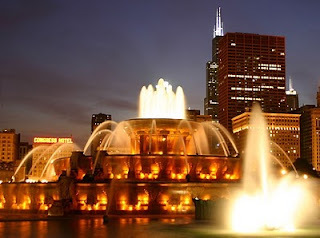 Standing next to the beautiful Buckingham Fountain I contemplated the great city and reflected favorably on my prior four Chicago Marathons. I was happy that I'd avoided last year's nearly calamitous late arrival to my assigned starting corral, so had ample time to meet the 3:10 pacing team leaders and the other runners who shared my goal. 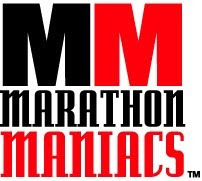 I felt comfortable with the team since the leaders were extremely experienced and as its members were generally runners like myself - Boston qualified marathoners with comparable prior finishing times. With growing excitement and the sound of the starting gun ringing in our ears we excitedly began our race. After two miles of the expected weaving around erratic and suddenly slowing runners I felt comfortable with the team as it assumed its 7:15 pace. My breathing was in control in the morning air, and I successfully repeated my mantra to relax. However, beginning at the second fluid aid station I noticed the pacing leaders dramatically speeding-up afterward for a mile which was both annoying and somewhat worrisome. Ultimately I accepted their approach comforted that if I remained with them through the half that I could then drop away and self-manage a 7:35 pace through my hopeful P.R. finish. Despite my doubts upon crossing the half I successfully followed exactly that strategy until just after the twentieth mile. At that point the strong sun and climbing temperatures - ultimately reaching a brutal 80°F - exacted their harsh toll. I was astounded to see just how quickly my apparently inadequate consumption of fluids and electrolytes caused me muscle cramps, a headache, lightheadedness and general weakness - which in combination forced me to a walk. Consuming electrolytes per my prior hydration and fueling plan. Nevertheless, despite the weather induced mis-judgement I had an absolutely great experience, and highly recommend the Chicago Marathon! Your experience mirrors mine exactly. I started wtih the 3:45 pace group hoping to beat my PR of 3:43 and maintained this pace until mile 18 or 20. The heat got to me at the end of the race and I ended up with a 4:01. Like you I was pretty disappointed with my time, but the overall experience was great. Reading stories like yours makes me feel better about not reaching my goal. Those were indeed pretty tough conditions. Tough race, but good job rehydrating and getting back on the horse for the last bit! It was hot! Like I said before, great job, given the conditions. I had a similar experience in my marathon this year and lost a lot of time because of it. Glad you finished with no medical issues. And even though it's not close to your PR, you still ran a great time, IMO. +1, great job gutting it out. So many stories like yours at least let you know that you had tons of company. Sorry it came down to that but I know your next will be beautiful revenge, for sure! Glad to hear in the end you had a good time, I hope to run this one day! Sounds like the weather got the better of a lot of people in Chicago - great job, all things considered! Call 911, you were robbbed. No fair that you trained so hard and then got the weather that you did. What are you gonna do. Everyone imploded during that race. Thanks, all, for your support! While the weather was indeed bad I was solely responsible for my own race. My simple lesson learned - in the heat slow down, drink more and take more salt! Dave - Great job on your Chicago marathon! Your excellent performance (and that of many others) prove that weather conditions are no excuse. Weather is simply another challenge which all strong runners must learn to adapt to and overcome. Welcome to Ironman Access - NOT! 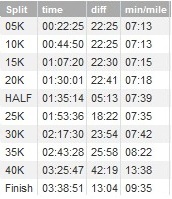 Boston Marathon Filled - Now What?